Our Neolithic relatives chose the remote setting of White Hawk Down for settlement but it wasn’t for another five thousand years that the local gentry began racing horses on the ideal turf. In 1779, King George III’s brother, Henry Frederick, Duke of Cumberland, began renting a house in Brighton (then Brighthelmston). He was instrumental in establishing a racecourse on the springy turf above what is today the Whitehawk Estate with his gambling friends. The first races were held on 26th July 1783. The next meeting on 2nd August 1784 was attended by his nephew, the young Prince of Wales (later Prince Regent and King George IV). The Prince fell in love with Brighton from this moment and later adorned the town with his patronage culminating in the construction of the Royal Pavilion. The first stand was erected by subscription in 1788. In 1803, it was replaced after being destroyed by fire. The flames could be seen for miles and many thought that Napoleon was landing. The Prince stopped attending in 1916 due to illness and other matters; attendance dropped dramatically. The arrival of the railway in 1841 brought a new lease of life that led to immense popularity well into the 20th century. 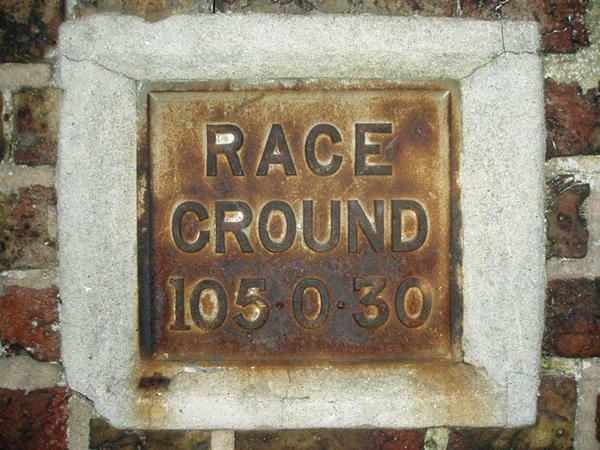 Fascinatingly, iron boundary plaques from 1861 may still be seen in many of the surrounding walls bearing the inscription “RACE GROUND 105∙0∙30” – 105 acres, 0 rods and 30 poles (boundary measurements). During the 1930s, the Racecourse was greatly improved. 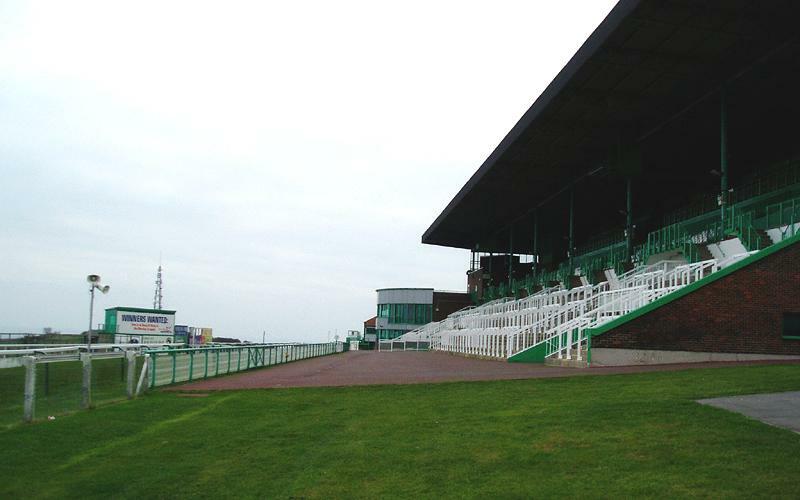 New stands, stabling and administrative blocks were added at great expense. In Brighton Rock, Graham Greene’s novel of that same year and in the subsequent film (1947), Brighton Racecourse is portrayed as a dark and dangerous magnet for organised crime. In 1965 a new stand replaced the 1930s additions which meant that over five thousand could be accommodated. Northern Racing now runs the 1.5 mile course with Brighton & Hove City Council retaining a stake in the trust that owns the land. Brighton Rock’s ‘Pinkie’, played by Richard Attenborough, becomes entangled with the Racecourse protection rackets run by the deadly 1930s razor gangs. Of course, the Racecourse has changed dramatically over the years and today is only attended by the most honest and respectable members of society such as bookies, racehorse owners and estate agents on corporate hospitality days. However, it is still just as exciting! 2006 races start on Sunday 26th March – call 01273 603580 for tickets.